THESE CORE VALUES: WORSHIP, CONNECT, AND SERVE, DRIVE EVERYTHING WE DO. 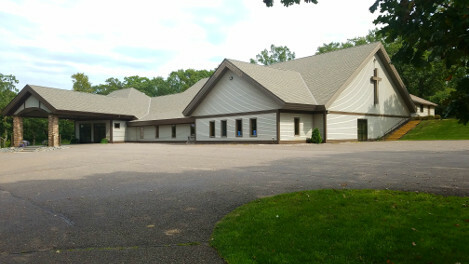 Alliance Church is located at 903 13th Ave NE Little Falls, MN 56345. Our office phone number is 320.632.3047. Sunday worship services are open to the public each Sunday morning at 9:30am. When you arrive at Alliance Church, we want you to experience the casual, at home style that feels comfortable as soon as you walk through the door. At Alliance Church, we are passionate about three core values: Worshiping God through music, community, and teaching, Connecting to God and others through small groups and doing life together, and Serving God with our talents, gifts and resources. We believe that we are called to live these values together as a Church. Alliance Church exists for the purpose of reaching people and helping them to become fully devoted followers of Jesus Christ. This is accomplished by bringing people into a relationship with God through Jesus Christ, and drawing them into the Christ-centered community of the church. The Holy Spirit is a divine person, sent to indwell, guide, teach, empower the believer, and to convince the world of sin, of righteousness, and of judgment. Man was originally created in the image and likeness of God: he fell through disobedience, incurring thereby both physical and spiritual death. All men are born with a sinful nature, are separated from the life of God, and can be saved only through the atoning work of the Lord Jesus Christ. The prospect of the impenitent and unbelieving person is existence forever in conscious torment, and that of the believer in Christ, is to have everlasting joy and bliss. The Church consists of all those who believe on the Lord Jesus Christ, are redeemed through His blood, and are born again of the Holy Spirit. Christ is the Head of the Body, the Church, which has been commissioned by Him to go into all the world as a witness, preaching the gospel to all nations. The local church is a body of believers in Christ who are joined together for the worship of God, edification through the Word of God, prayer, fellowship, the proclamation of the gospel, and observance of the ordinances of baptism and the Lord's Supper. The second coming of the Lord Jesus Christ is imminent and will be personal, visible, and premillennial. This is the believer's blessed hope and is a vital truth which is an incentive to holy living and faithful service.